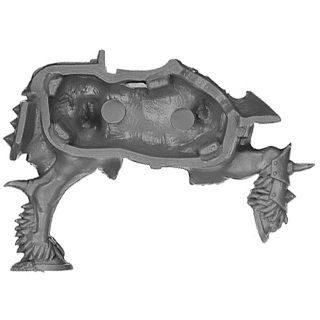 This is a part of a chaos steed out of the Warhammer Fantasy Chaos Knights box. 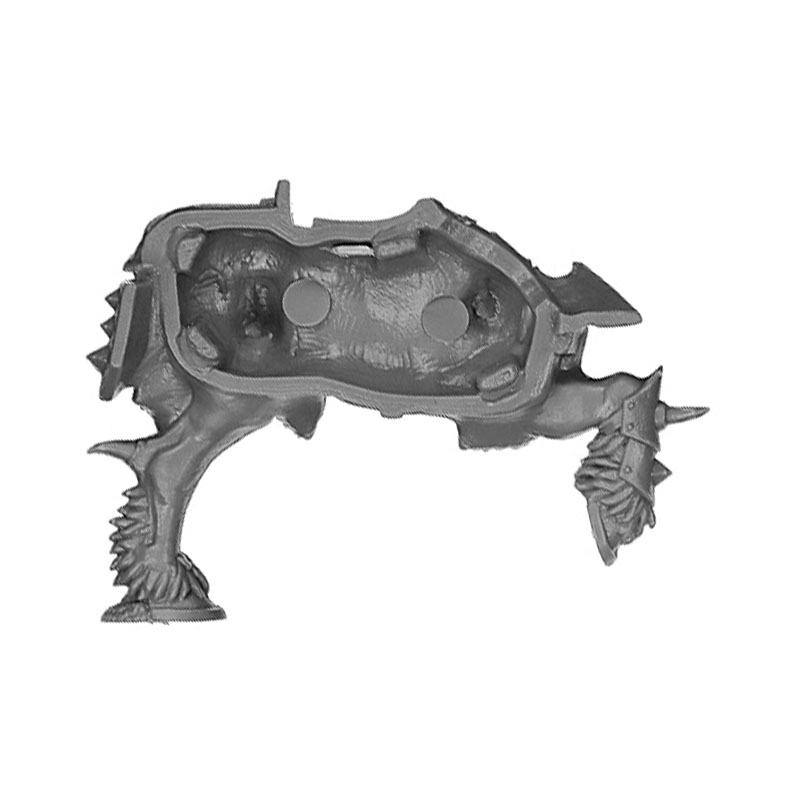 Suitable for tabletop armies and other games in 28 mm scale. The Warriors of Chaos are the unholy sons of the Chaos Wastes. These vile creatures, steeled by countless battles, are cruel fighting machines and their origin is as diverse as chaos itself. They are superior to normal humans strength and heartlessness by far, and their only motivation are death and destruction. 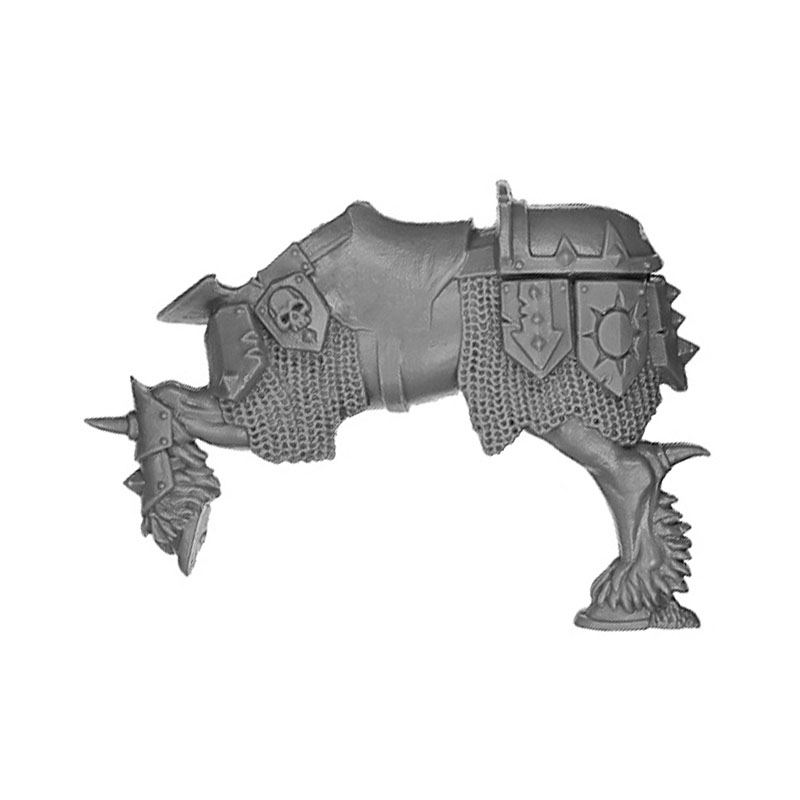 Once they may have been ruthless bandits, brutal barbarians or renegade nobles of the Old World, now they are the warriors of chaos which have entered an unholy alliance with the Dark Gods and form the core of their armies. When several warriors of Chaos come together to form a warband, death and destruction follows them across the Warhammer world. They know neither compassion nor mercy when they afflict the civilization to murder and pillage their old home. 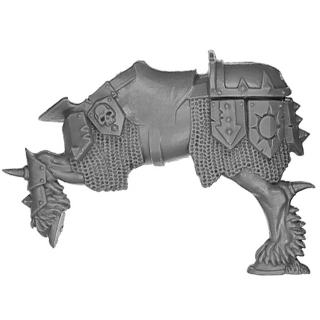 fill your bitzbox at the ultimate source for Warhammer bits.